Here come Shore Leave and The Alchemist! 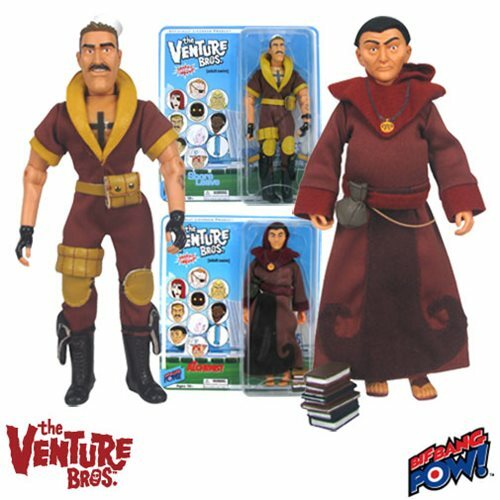 Appropriately, the other action figure here is that of The Alchemist. Dr. Orpheus' old friend is clad in his trademark fabric robe with pants underneath. His nifty accessory is a stack of books, of course. Maybe Al can help you find the philosopher's stone?